I've lived in New York City for 8 years now (almost a New Yorker!) and I'm always happy to gush about this crazy place. So this week I'll be blogging about the neighborhood, featuring a few of my favorite little boutiques and eateries in the area. To start, take a peek at Roxy's blog, where she features the apartment I share with my husband, which I've had quite a lot of fun making into a home. And then take a whirl with me and CJ of Charlie-Juliet, who was the perfect companion and photographer to captured the sights with me on a lovely fall day as we explored this little slice of Manhattan. First up is Jeffrey's Grocery, a popular neighborhood restaurant and a great place to go for oysters. Their full menu includes favorites such as their po' boy sandwich and fried chicken plate, so GOOD. I love the way their vintage type shines in gold. 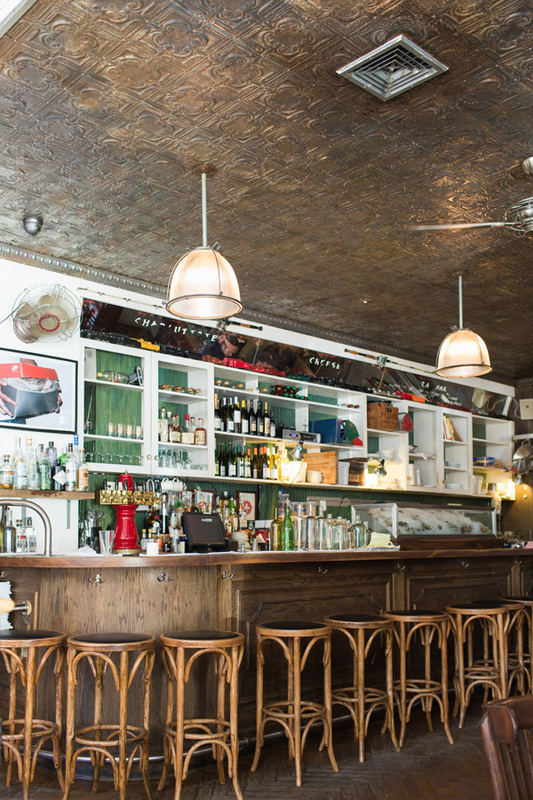 With the vintage light fixtures, tin ceiling, and well-worn wooden tables, Jeffrey's Grocery gives off just the right amount of patina that is so very New York. 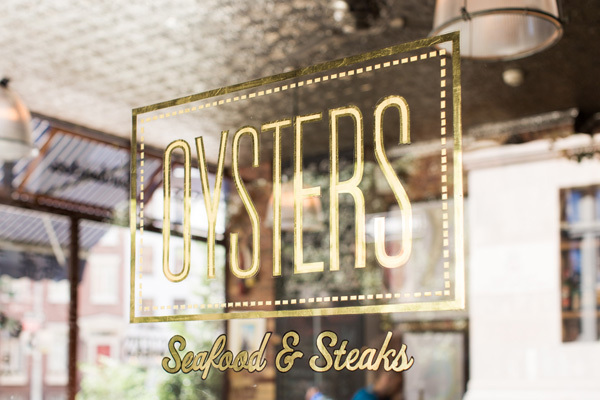 I love their mini clipboard menus, and sitting at the bar is downright exciting when you're using lovely bentwood stools. Whether I'm here for brunch, dinner, or cocktails, I love Jeffrey's Grocery for all these details and for its laid-back vibe and excellent food. Coming up next, a chic little boutique on Christopher Street! Join me the rest of this week as I explore some more Village gems!